A significant development at MI-3 was the launch of the eighth Innovation Challenge, on Renewable and Clean Hydrogen (IC#8). The IC#8 members have quickly commenced the development of a plan to achieve the objective of IC#8 which is to accelerate the development of a global hydrogen market by identifying and overcoming key technology barriers to the production, distribution, storage, and use of hydrogen at gigawatt scale. IC#8 has been set up to address the need for further technology improvements to enable hydrogen to be cost-competitive in the energy system. Governments are recognising the potential of hydrogen and are beginning to set policy goals for hydrogen usage but there are technical factors to be addressed before hydrogen can become an internationally traded commodity. IC#8 participants are collaborating to identify and accelerate the key breakthroughs needed to achieve a cost-competitive hydrogen value chain. 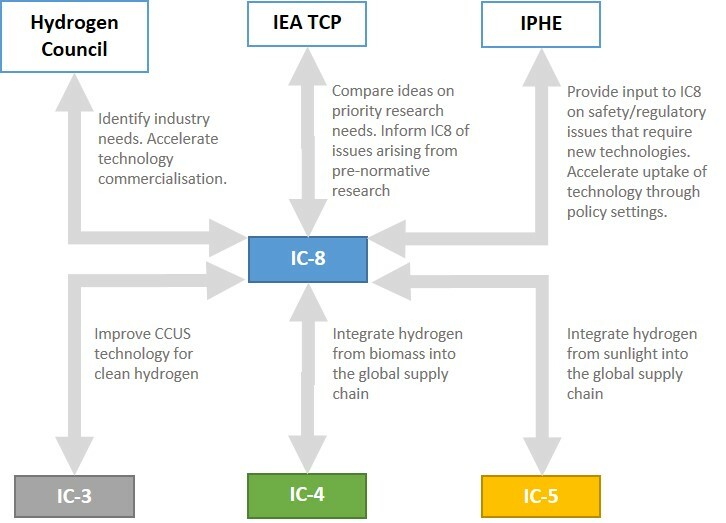 IC#8 will provide a platform to understand and progress selected issues around how a global hydrogen market would function as a system (particularly where these issues are not being actively contemplated in other forums). The potential impact of hydrogen usage is high. The Hydrogen Council estimates that hydrogen could account for almost one fifth of total final energy consumed by 2050. This could reduce annual CO2 emissions by roughly 6 Gt compared to today’s technologies and contribute roughly 20 per cent of the additional abatement required to limit global warming to two degrees Celsius (above and beyond already agreed commitments). It would also eliminate local emissions such as sulphur oxides, nitrogen oxides, and particulates linked to smog formation; and help reduce noise pollution in cities. In addition, the Council estimates the potential for US$2.5 trillion in revenue and 30 million jobs world-wide as a result of deploying hydrogen technology across a range of sectors. IC#8 will focus multinational research and large scale demonstration efforts from both public and private sectors on industry-directed breakthroughs which have a realistic prospect of underpinning commercial renewable and clean hydrogen industries (and implied target prices) within the next 5 years. The Challenge is co-led by Australia, the EC and Germany with participation from Austria, Canada, China, France, India, Italy, Japan, Norway, Saudi Arabia, UK and USA. The first step for the Challenge is to survey existing RD&D activities and estimate the size of potential markets. The results of the survey will feed into a deep dive workshop planned for October 2018 at which a set of priority actions will be developed. The co-leads are keen to explore opportunities to collaborate with the other Innovation Challenges and with existing international co-operation forums including: the International Partnership for Hydrogen and Fuel Cells in the Economy (IPHE), the IEA Technology Collaboration Programmes (IEA TCPs), the Hydrogen Council, and other regional and national bodies.